Every year when the summer rolls around, the way we like to eat and drink changes. Instead of sitting inside, we move our meals outside to the patio and gather our friends and family to share the dining experience together. Foods become lighter and grills are fired up with delicious steaks sizzling on them. 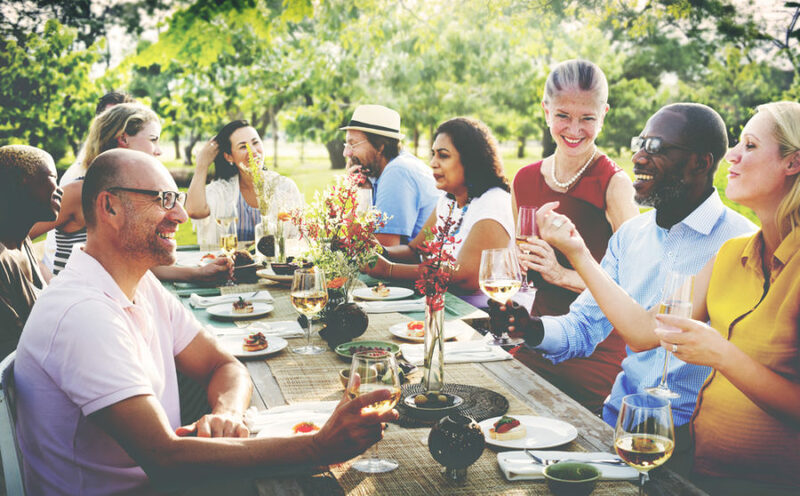 The wines we sip are sweeter, thus enhancing the summer experience. At the Y.O. Steakhouse, we have one of the most extensive wine lists in Dallas and today we’re sharing our most popular summer wines to sip with your steakhouse dinner. This favorite white wine is dry in taste but has hints of lemons, limes, apples, and other fragrant notes to look for while sipping. Pinot Gris is believed to have come from France and slowly made its way all over Europe. It is commonly grown in Italy which lends to the belief that it was born there. Pinot Grigio is best paired with lighter foods like our Dallas steakhouse’s Tequila Sunrise Chicken or Shrimp Risotto. This summer wine brings out the lighter, citrus flavors in these dishes! Rosé is almost synonymous with summer. A sweet rosé is reminiscent of warm summer evenings spent with friends at outdoor dinner parties sharing laughter and a great meal. Rosé pairs well with light salads like our Burrata Tomato Salad or Iceberg Salad. 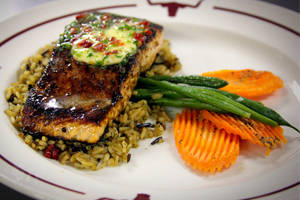 It also goes nicely with seafood based dishes such as our Red Chili-Rubbed Salmon. Pairing rosé with anything on a steakhouse menu can be a little difficult, but stick with these suggestions and you’ll enjoy your wine! People often think that red wines are only for chilly months and that couldn’t be farther from the truth as long as you choose the right red wine. Due to it’s black pepper flavor notes, Cabernet Sauvignon is a great choice when you’ll be enjoying one our famous steak dinners. A great dish we pair with this type of wine is our Venison Chops and Ribeye steaks. Most restaurants in Dallas don’t have a large wine list to choose from. Because our dinner and lunch menus pair so well with a variety of wines, we made sure that our wine list reflected the many food and wine pairings we could offer to our guests. Visit our Downtown Dallas restaurant to enjoy flavors and fragrances from all over the world.